Triple Crown Safe Starch Forage is an all in one diet for mature horses. No other hay, pasture, or mineral and vitamin supplement is required to provide your horse a complete and balanced diet. 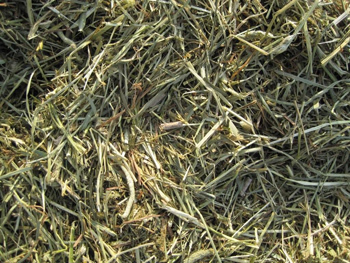 Feed Triple Crown Safe Starch Forage to mature horses at a rate that maintains desired body condition. Begin with approximately 2% of body weight (20 pounds for a 1000 pound horse) and adjust up or down, depending upon the individual horse’s body condition. You want to feed a minimum of 1% of body weight. Provide access to salt and fresh, clean water at all times. Watch the Forage Plant Processing Video! This is an excellent product, horses are doing well with it. I do feed high-quality Triple Crown grain with it and they are keeping up their weight, thank you! Safe Starch Forage for years. we settled for whatever the barn was feeding the horses. allowed to get near the buckets. should feed him as supplemental to the grain from the barn. person who told us about Triple Crown Safe Starch Forage. 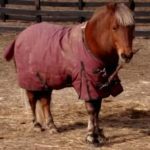 Your Safe Starch saved my pony’s life! 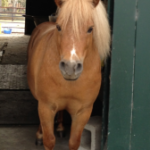 Your Safe Starch saved my pony’s life! 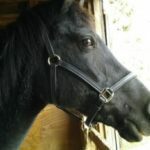 My vet prescribed it for my 22 year old Shetland, Shadow who has PPID (equine cushings). He’s been on it for about 18 months now and he has made a dramatic turn around for the better. Following the instructions on the package and with my vet’s help, Shadow gets 6 pounds of Safe Starch a day, fed 1 pound every 4 hours (yes, I get up twice in the night to make sure his diet is as ‘safe’ as possible.) My vet and I have even been able to cut back on his medication because your diet is SO good! With Safe Starch and a tiny bit of medication, Shadow’s cushings numbers dropped from over 100 to 38, 23, and recently 18 – and he’s lost 40 pounds, now down around 420 pounds. I was so happy when he shed out fully this year for the first time in ages. Shadow gets nothing but Safe Starch (made into a mash at 1 pound SS to 2 liters of body tempature water in the hot weather so he’s getting enough water). My vet’s tough, but thanks to her efforts and Safe Starch, Shadow is making a dramatic recovery. He looks great and has tons of energy again. Safe Starch Forage and Timothy Grass Forage from TCN are the best! I have been a dedicated Triple Crown fan since 2004 when my horse was diagnosed with Cushing’s. Currently I have a Morab and Shetland/Welsh cross that not only are breed predisposed, but have been diagnosed with normal but on high side ACTH number and Equine Metabolic Syndrome respectively. Your products are the only ones on the market that I trust for consistency and quality that are absolutely necessary to help control their special diet so they can live longer, healthier, happier lives. I love my boys and try to give them everything I can and your products are not only affordable, easy to obtain at grain stores but my boys like the taste which is very important. I currently use Triple Crown Lite, Safe Starch Forage, Timothy Grass Forage, Omega Max flaxseed, and the beet pulp Timothy cubes soaked in warm water. You always provide the information necessary for me to make the low sugar, low starch choices. I wish I could buy tested baled hay from you too! My local Triple Crown representative is Michelle Mulcahey and has been the most kind and helpful person I have come across in the whole tri-state area of CT, MA and NY. Georgie is 6 and he is 31 inches tall. I rescued him 4 years ago when he was 2. He has eaten Triple Crown Forage every day he has been here. He currently gets Triple Crown Safe Starch Forage or Grass Forage along with a splash of bran or beet pulp and some chopped carrots. Safe Starch is a complete feed so he really doesn’t need any other supplementation.